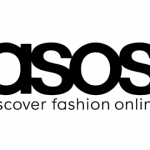 SALSA JEANS: I was introduced to Salsa in 2009 as ilovejeans.com was the first to sell Salsa in the UK. We quickly realised the importance of this brand when we saw how the different styles worked with different body shapes. I’m really pleased to be able to offer Salsa Jeans figure-fixing styles available to both my US & UK readers (check shipping details for prices). #1: How the Salsa Wonder Push Up Mid Rise Skinny Style pushes up the flattest of bottoms and tamed the roundest derriere. This is a low rise style. 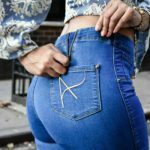 See the way the yoke of the jean is shaped in a heart shape to “push up”. # 2: How the Salsa Push-in Secret Waist Sculpting with its double button high waist (woven front internal panel) pulls in the waist and lifts the bottom. Great for Apple body shape women as it tucks and lifts. 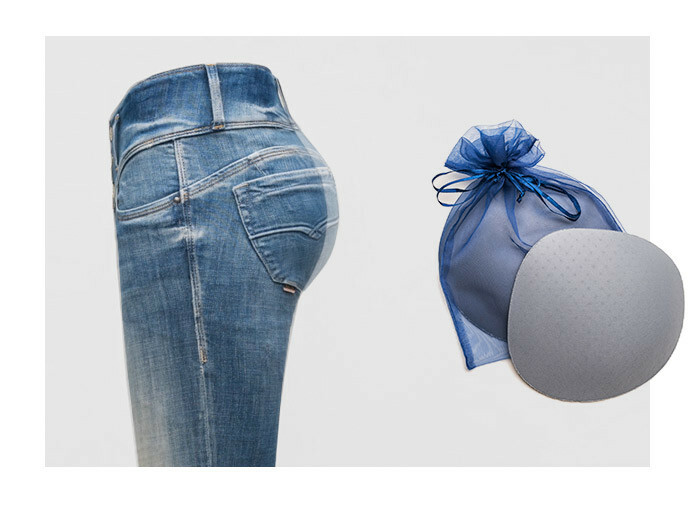 # 3: How the Salsa Mystery Bum Sculpt High Waist Skinny has two removable internal pads in the bottom to add to your assets even if you have the flattest one! 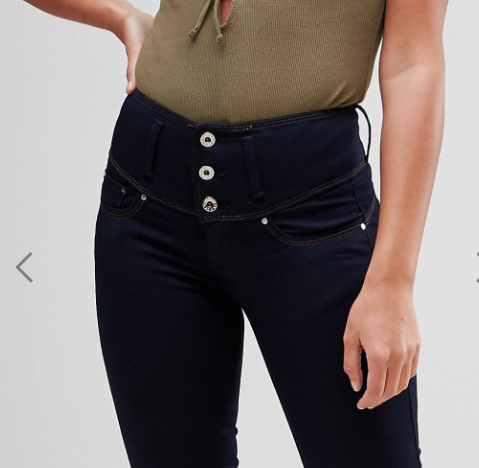 High waisted curved button fly to hold the tummy area. 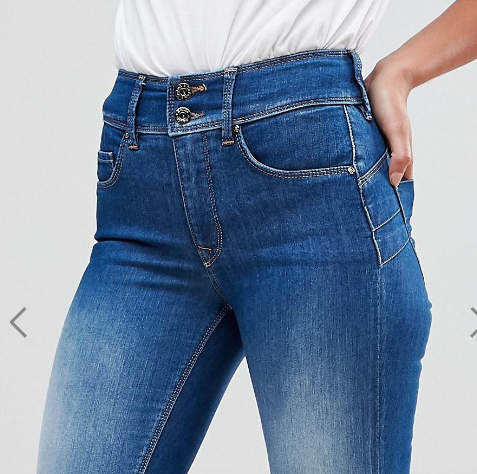 These jeans create even more curves, giving a more defined silhouette. Pads are removable. 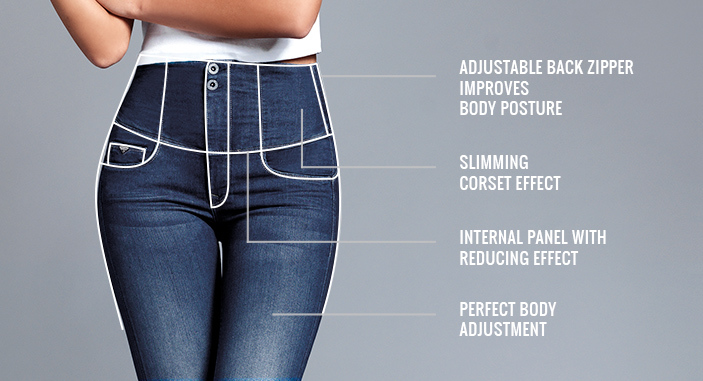 #4 How the Slimming Diva offers 3 effects in one pair of jeans! 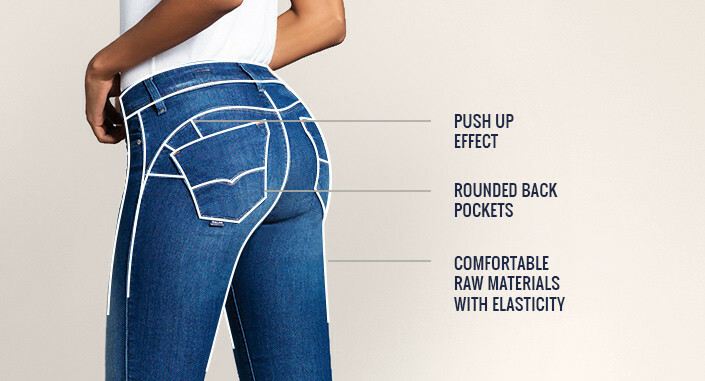 A High waist defines your silhouette making the jeans adjust perfectly to your body. 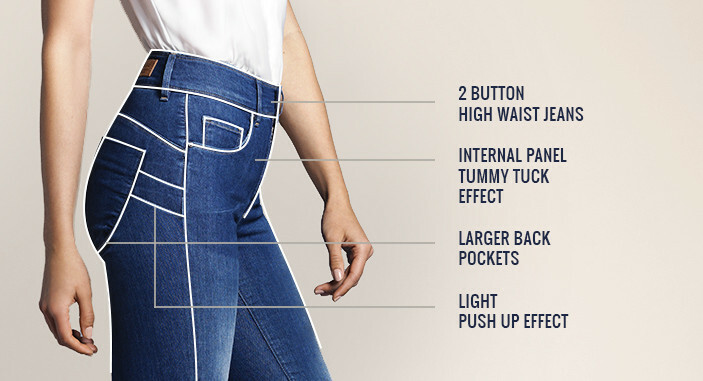 THIS IS THE SCIENCE BIT: Salsa Jeans have created an internal panel (under the corset wide waistband) from a smart fibre Emana® that converts the human body heat into far infrared rays (FIR) and emit them back to the skin, promoting several benefits. Besides its smooth and soft touch, Emana® delivers to the wearer a smoother and youthful skin appearance, reduces the appearance of cellulite. In contact with the skin, it stimulates microcirculation of the blood and, when worn regularly, improves skin smoothness and reduces imperfections. Back zipper ensures perfect adjustment to the waist and immediately improves body alignment and posture. #5: How the No Gap Bliss banishes that annoying gap so many curvy shape women hate. 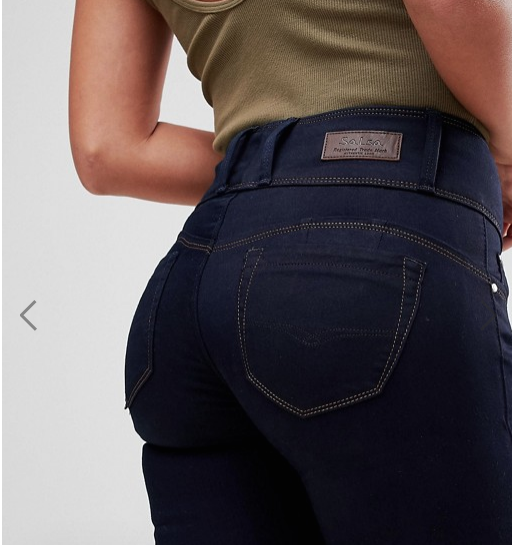 The NO GAP effect is available in a high waist style with two types of leg: Capri, in a darker wash, and a cigarette, in a vintage lighter wash. 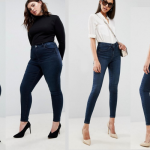 I love figure-fixing jeans as they work for you in two ways, making your figure look the best it can be ( without surgery) and maybe most importantly they give the wearer the confidence to feel good. 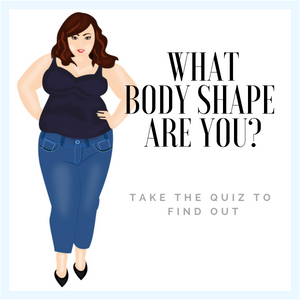 PS: If you have any questions about this post or need some advice on which jeans are good for your body shape then leave me a comment below and I’ll be happy to answer any questions. 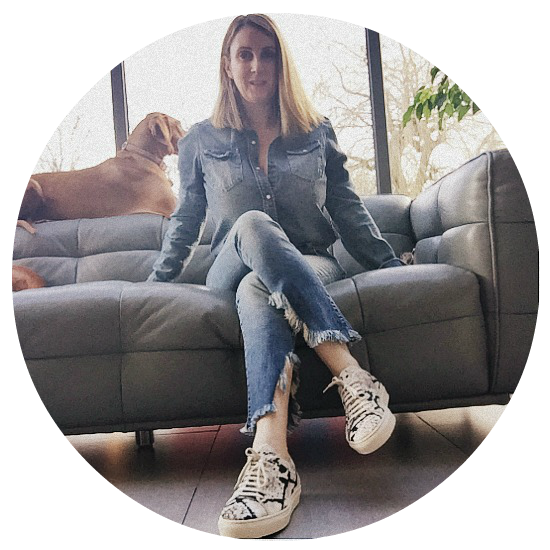 « THE SUSTAINABLE DENIM LIST YOU’LL WANT TO WEAR. I have lost the pads for my salsa jeans,they are black with Push in Secret wrote on inside,where can i get replacements? 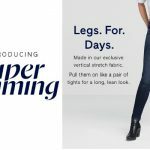 Wow, this jeans collection looks superb would love to try some of them. And, please show some collection for extra large size.